Okay wow, I have to admit, this book was super inspiring! I wasn’t sure that I would enjoy it, because I just finished a narrative nonfiction book right before this one, and while it was good, it was a really hard read and very difficult to keep track of all the different historical characters, but Bascomb did a good job of introducing each figure, and then reminding us of who was who. I felt like I could relate to each escapee, and understood them and their drive. His narration of the German guards was also on point- they were flawed but they were human, and not all of them were monsters. There were also lots of pictures, illustrations and maps. I find it much easier to understand and follow along when I read as I’m sure anyone who reads and follows my blog is well aware of. Because I was reading an ARC, some of the pictures were still missing but once finished, the array of these visual aids will be amazing. As for age group, I think that it is spot on. The language is something that anyone over the age of 12 should be able to follow, and the narrative is captivating; I enjoyed reading it! While I am rating this book a 4 star, this is simply because of my own preferences in subject matter. 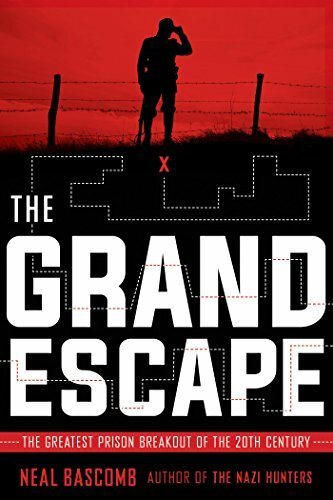 This book was a well crafted narrative of what truly was the greatest escape of the 20th century, and throughout my reading I found myself cheering on these inspiring men. My choice in rating it a 4 star comes from the fact that while I learned a lot about the escape and the POW camps in Germany, I felt that the subject matter was very narrow. This book would be a great read as a side project for young adults in history classes, or anyone who simply wants a more personalized approach to learning about the people involved in World War 1. If this sounds like you, make sure to preorder the book which will be published September 25th! That seems like a deep subject that requires a lot of explanation. However, being that it is YA, it is made a little less complicated and more visual than anything. I wouldn’t prefer it. I think ad adults, we aren’t the target audience. That’s true, but I think when reviewing you have to take into account who they’re targeting, and whether it would be a good fit for that age group. You are absolutely correct. I sometimes forget that. Good review and I like that you highlighted that it would be suitable for it’s main target audience. I find that very important. Sounds interesting, not sure how I would feel about the illustrations but intrigued. Great review!